Gamescom 2014 may be behind us, but the memories are still fresh in our minds. From Aug. 5th-9th, our team descended upon the beautiful city of Cologne, Germany to take part in the flurry of activity that is the world’s second largest gaming convention. For us, the show was a great opportunity to see familiar faces and make new connections. While the day was busy with meetings and demos, at night we welcomed a much-needed break to dine with 50 of our friends and colleagues at the gorgeous KölnSKY restaurant. The restaurant offered breathtaking views of the city skyline and delicious dishes, but our focus was on the company. Our guests represented all aspects of the mobile and gaming industry – and all corners of the globe. Conversation and networking carried well into the night, leaving just hours to grab a few necessary winks before the activity of the convention kicked into gear once again. 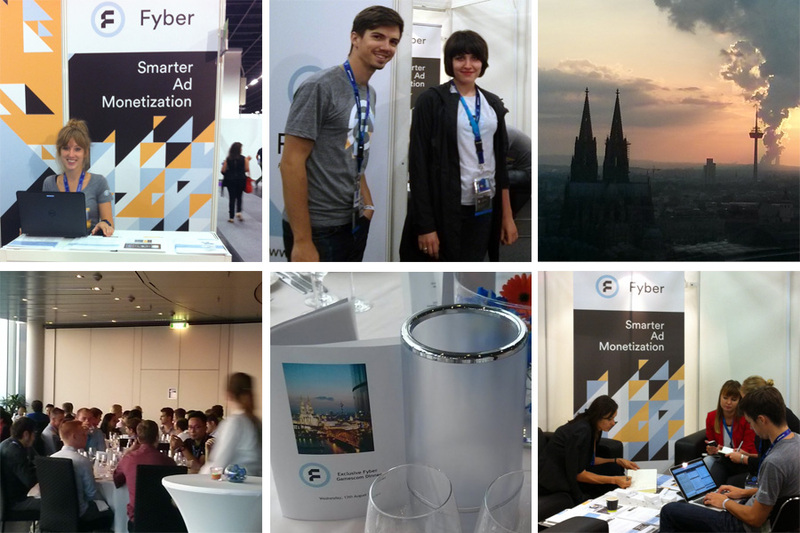 If we didn’t see you at Gamescom, we hope you’ll stop by at one of our upcoming events to say hello and check out the latest and greatest from Fyber!